takes you on a journey of castle and fortress ruins in the Split Dalmatia County.. 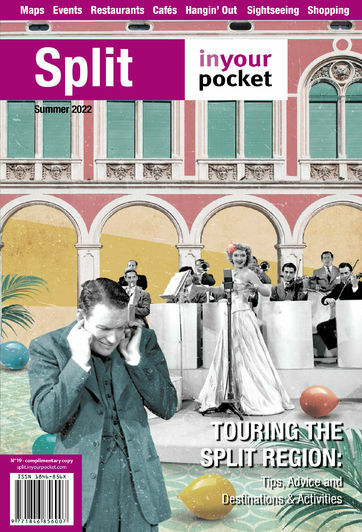 Visitors to the Split region shouldn't just restrict themselves to the beach. Not only is the Dalmatian hinterland one of the most dramatically beautiful parts of Croatia, it also plays host to a multitude of crumbling fortresses and hilltop castles. Given the region's turbulent history – including centuries of warfare between Croats, Ottoman Turks and Venetians – it's no surprise that brooding battle-scarred ruins form such a prominent part of the local landscape. One of the largest, most spectacular and yet easily accessible fortresses in the county is Klis, planted precariously on sheer cliffs just inland from Split. There’s an excellent view of this fortress from the highway that connects Split with the A-1 autocesta. Partially restored and now an outdoor museum, the fortress is well signposted from the road. It will take you at least an hour to explore the fortress and soak in the great views in every direction.There is a café right below the fortress. Klis has had a long and colorful history. It was first mentioned in written records in the first half of the 10th century. In the 13th century the Mongols invaded the area but never succeeding in taking the fortress.The Ottoman Turks captured it in 1537. Local nobles succeeded in retaking Klis, but only for a few weeks, in 1596. The Venetians finally evicted the Turks for good in 1648. When you visit Klis you will see why it was fought over so fiercely. Anyone occupying the fortress could control passage through the rather narrow mountain pass from the coast to the hinterland. Between Split and Trogir, 20km to the west, lies a sequence of seven small towns known collectively as “Kaštela" (Castles), each centred on its own fortress. If you drive along route 8 from Split towards Trogir you will see signs directing you to them (Kaštel Gomilica, Kaštel Kambelovac, Kaštel Lukšić, Kaštel Novi, Kaštel Stari, Kaštel Sućurac, Kaštel Štafilić). Most were constructed in the 16th century to provide shelter from marauding pirates or the Turks. It would take the better part of a day to check out their interesting architectural features. All are accessible by car. The UNESCO World Heritage site of Trogir, an island town, has its own castle fortress, too, right on the waterfront. Kamerlengo Citadel was built in the 15th century and has been well restored. Trogir’s Venetian heritage (the Venetians held sway there for three and a half centuries starting in 1420) is clearly evident from the town’s lovely architecture. If you go 21km in the opposite direction (southwest) on route 8 from Split you will reach Omiš, which is located at the mouth of the Cetina River. There are the ruins of two castle/fortresses above the town that have spectacular views.The lower of the two, Mirabela, is accessible by about 300 steps from Šubić Street in the centre of town. There is a gate about a quarter of the way up that is sometimes inexplicably locked. Ask at the town's tourist office first and they'll probably send someone to unlock it. 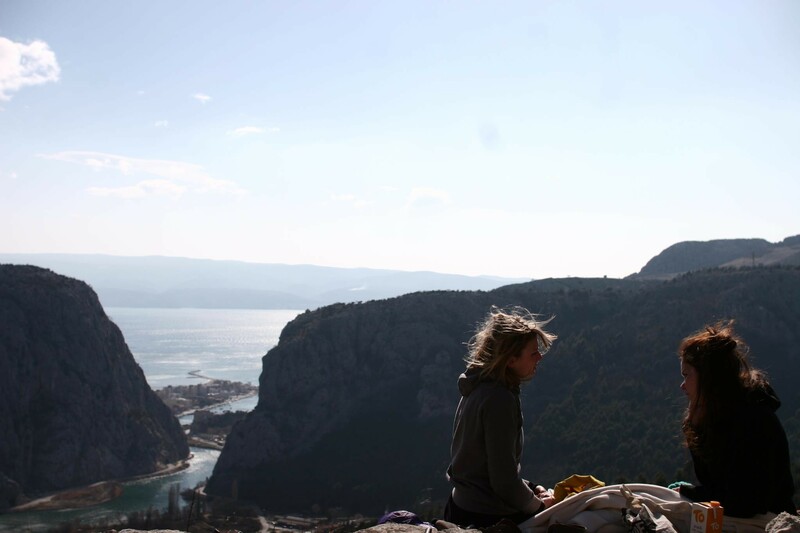 From the top of Mirabela's tower keep there's a sweeping view of Omiš, the river, the sea, and the steep sided mountains that form the sides of the canyon. It's believed that the Kačić family, feudal lords of Omiš during the 12th and 13th centuries, built Mirabela in the early 1200s. Pirates used Mirabela as their lair during medieval times. 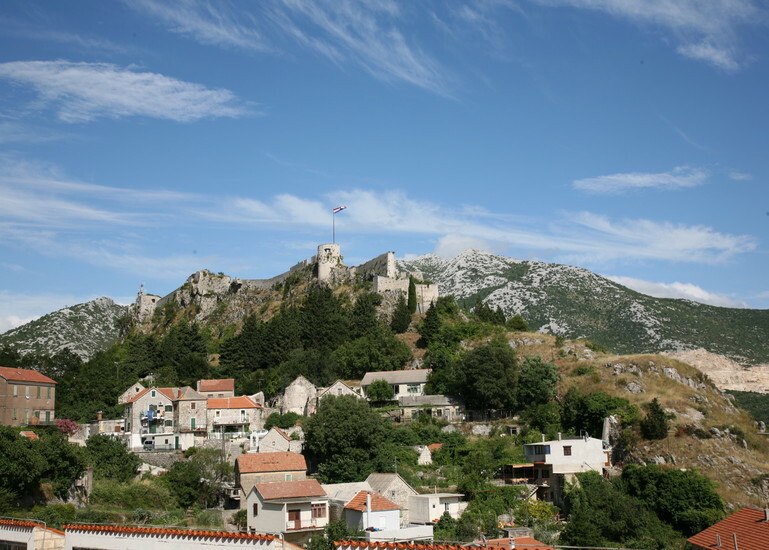 The Venetians acquired Omiš in 1444 and over time expanded and refortified the redoubt. Fitness buffs can be rewarded with an even more panoramic view by hiking from the center of Omiš to Starigrad (also called “Fortica”), a fortress/castle about 500m above the town. The hike takes about two hours on a marked trail, which begins on the road to the village of Borak. The turn off to Borak is on the south edge of the Omiš town center. You can also drive part of the way up to Starigrad, making sure to go straight (don't turn right) when you reach the fork in the road. From that point it is a 45 minutes climb. Fortica was built by another Croatian noble family, the Nelipićs, probably in the 14th century. It was one of a series of coastal forts expanded by the Venetians during their centuries-long struggle against the Turks. Gun bastions and embrasures are still clearly visible in the walls, the perfect spot for imagining that you are a defender on the battlements! There are plenty of good hotels and eateries in Omiš, which is a major tourist center. It's a shame that most visitors never venture beyond the beach. From Omiš take the road on the south side of the Cetina River 18km to reach Zadvarje. There is one good view after another as this road winds through the canyon. There is a fortress with the same name just beyond the water treatment plant above Zadvarje. Unfortuately power lines above the ruin somewhat mar the atmosphere, but it's still worth checking out Zadvarje's massive walls. Built by the Venetians between 1478 and 1482, Zadvarje was captured and refortified by the Turks in 1502. There is a myth that the ghost of Murat, the Zadvarje Turkish bey who was bloodied by a local girl he assaulted, roams the castle walls during full moon. Our next stop on the county castle tour is Imotski, 38km from Zadvarje by routes 39 and 60. Imotski is remote into the Dalmatian hinterland, a place where locals think nothing of stopping their car in the middle of street in town to chat with their friends, not worrying about a trifling traffic jam that might develop. Another distinctive feature of this hilltop town is its two sinkhole lakes, the Blue Lake and the Red Lake. Sheer cliffs tower 150m above the Blue Lake, which is just above the Imotski town center. It takes about 10 minutes to climb up the stone steps to Topana Castle, perched at the top of the cliffs.There is a great view of the coastal mountains from the ramparts of the castle, the location of which was probably first used for defensive purposes by the Romans. Topana is first mentioned in written records around 950. From 1322 the castle fortress was under the ownership of several Croatian-Bosnian noble families.The Turks conquered Imotski in 1493, transforming it into an important seat of local government and refortifying the castle. It wasn't until 1717 that the Venetians pushed the Turks out, but Imotski continued to mark the border with the Ottoman Turkish Empire. Battles continued for another decade, resulting in substantial damage to the castle. It was reconstructed in the early 19th century, by which time it no longer served a military purpose. There are several hotels and restaurants in Imotski. On the way from Zadvarje bonafide castle fanatics might want to follow highway 62 to the hilltop town of Vrgorac, which is very near to the border with Bosnia-Herzegovina. There is a nicely restored castle above the town centre, accessible via an unusually well marked trail in about 15 – 20 minutes. There's a wonderful view in every direction from the castle. Only 10km north and west of Imotski on a secondary (but paved) road is the village of Donji Proložac. Badnjevice Castle/fortress is spectacularly situated on a rocky peak above the village. First mentioned in written records from the 12th century, it's hard to imagine how it could have been built there, but it certainly commands a good view of the surrounding region. Only the hardiest of climbers should attempt to reach this ruin. There are no marked trails, and probably the best alternative would be to enlist the help of a local to guide you up the steep, rocky slope. About 80km north and west from Imotski via route 60 and then a turn off from route 220 is the small village of Čačvina. It's easy to spot the castle ruin and a church at the top of a hill above the village. It's an easy, 10 minutes ascent to the castle. There are spectacular views in every direction from Čačvina, which sits at an elevation of 707m. The Nelipčić family built Čačvina in 1371. The Turks overan this fortress in the mid 16th century, and it was not until about 150 years later that the Venetians and Croats evicted them. In ancient and medieval times Čačvina sat at the crossroads of major trading routes, but today it is very much off the beaten track. Visitors may not be able to get an espresso there, but Čačvina's remoteness is one of its charms. The largest town of the Split Dalmatia County hinterland is Sinj, which is only 20km northwest of Čačvina or 34km north of Split via a well marked road. The castle fortress above Sinj is worth a look. You can drive there. 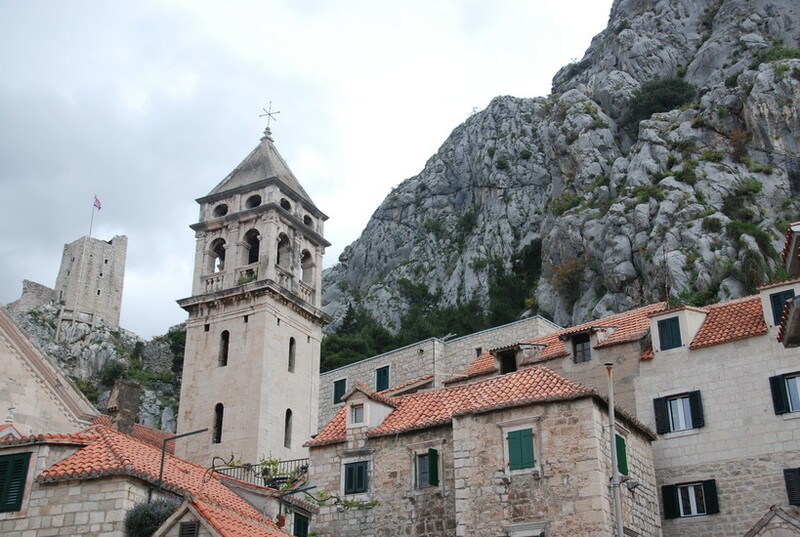 Like the rest of Dalmatia, Sinj has had a very turbulent history. During the century before and for several centuries after the birth of Christ the Romans fought with several tribes in the area. Sinj's fortifications are first found in written records in about the year 950. It's believed the exsiting fortress was built in the 14th century. The Turks captured Sinj in 1536 and refortified the castle. The Venetians pushed the Turks out in 1686, and the following year a famous image of the Madonna known as the Lady of Sinj (“Sinjska Gospa”) was returned to Sinj. In August 1715 the Turks attempted to retake the Sinj fortress. Although outnumbered, the inhabitants of Sinj defeated the Turks after a week-long battle. The defendents were convinced that the presence of the Madonna painting help them to thwart their more powerful adversaries. The Feast of the Assumption (Velika Gospa; August 15) is, therefore, especially significant for the residents of Sinj, which has several hotels and many restaurants. 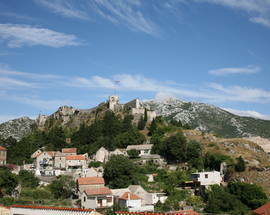 About 15km northwest of Sinj lies the village and fortress of Potravlje (also known as “Potravnik” or “Travnik”). It commands a stupendous view of coastal mountains to the west, high peaks in Bosnia and the valley occupied by 30km long Lake Peručko to the north. To reach Potravlje you take Route 1 north from Sinj. After about 10km you turn west (left) on a paved road; there is a sign pointing the way to Satrić. After 5.3km you will see a pink house on the right and on the left a line of cypress trees. Turn left at that point and go about 500m, where you can park in the middle of the village and walk up the hill to the castle ruins. There is no discernable trail but it is not too difficult to bushwack through the low scrub brush and grass. Like Čačvina, Potravlje is a rustic but lovely spot. Potravnik was probably constructed by the Nelipčić dukes in the 14th century. It is first mentioned in written records in 1372. The Turks attacked the fortress in 1522 and at first were not successful in taking it. Only after plugging the sources for the castle's water wells, thereby cutting off the defendents' water supply, were they able to capture it. The Venetians pushed the Turks out in the late 17th century. Another 22km along route 1 is the town of Vrlika. Prozor castle sits prominently above the town, which is at the opposite end of Lake Peručko from Potravlje. Partially restored, Prozor has an equally spectacular view of the lake and mountains to the east and west. To reach the castle go from the town church 1.5km up the road towards Maovica and Drniš. There is a dirt road passable with four wheel drive or a 20 – 25 minute walk up a not very steep hill to the castle. The Hrvatinić family built Prozor Castle in the early 1400s. As with other towns in the this area, the Ottoman Turks captured the fortress in 1523 and held it until the Venetians expelled them nearly 200 years later. The town witnessed an invasion much more recently as well. During the Balkan Wars of the early 1990s Vrlika was held by the so-called Republic of Serb Krajina for four years. During Operation Storm the Croatian Army pushed the Serbs out in August 1995.
been raised to such a height and pointed so neatly so many centuries ago. The tower is accessible in about 20 – 30 minutes via a marked trail ascending from a dirt road that runs from the village of Humac (on route 116) to the tunnel entrance. From the tower there is a breathtaking view of Brač Island to the north. A fortress on the same ridge about a kilometre to the east also is clearly visible. If you have binoculars you may be able to spot the naturist beaches on Jerolim and Stipanska islands off the coast. 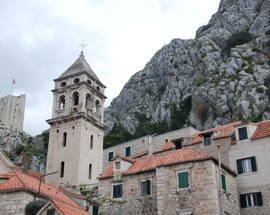 Brač, too, has a number of castles and fortresses in its coastal villages and interior.